University networks and international conferences are not always what they are cracked up to be. Yet last week’s jubilee conference of the SANORD university network (Southern African Nordic Center) in Zimbabwe lived up to expectations by a wide margin. I participated as a keynote speaker, and it was a very special feeling to arrive in the country just days after 93-year-old President Robert Mugabe had finally agreed to resign after 37 years in power. The fact that just about every lawyer in Zimbabwe had gathered to discuss the country’s legislation reinforced the feeling of experiencing a historic milestone firsthand. 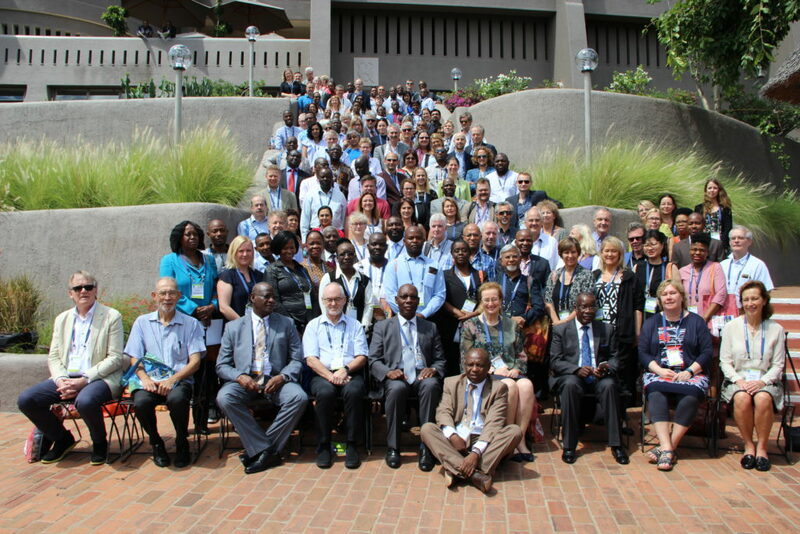 SANORD is a network of universities in southern Africa and the Nordic countries. At present, it has 46 members, of which 21 in the Nordic countries. The network’s focus is on addressing regional and global challenges in research, education, innovation and development, and on contributing to achieving UN Sustainable Development Goals. The University of Gothenburg has been a member since 2011. The network, which was established to promote cooperation between the two regions, celebrated its 10th anniversary this year. The University of Gothenburg had sent three representatives: Jens Stilhoff Sörensen, researcher from the School of Global Studies, Karolina Catoni, international administrative officer from the International Centre, and I. Jens spoke at a workshop on academic freedom and the transfer of knowledge between the North and the South. Karolina was among other things involved in arranging a workshop on how the international cooperation should be strengthened to develop SANORD further. One observation that I built my own speech around was how the contacts between the Nordic countries and southern Africa in recent decades have developed from mostly concerning support, for example during the apartheid era, to a more equal partnership. A partnership where we, despite our differences in conditions and in the challenges we face, can learn from each other in areas such as the role of universities in society, academic freedom and sustainable development (for example in relation to democracy). While Zimbabwe and some other countries hopefully have some democratic advances to look forward to, the democracies in our part of the world are being threatened by some relatively new phenomena, such as false news, deliberate misinformation and an overall growing contempt for knowledge. Cooperation with African states where democracy has often turned into dictatorship can help us see more clearly what is actually needed in order to maintain and further strengthen a democratic system. The importance of collaboration was something that South Africa’s Minister of Science and Technology Naledi Pandor, too, emphasised in her speech. Both of us agreed that although our countries are located very far apart, modern technology makes it easy to reach one another. Most of my speech concerned sustainable development, the responsibility we have as universities and what we can do together to contribute to the UN’s Agenda 2030 and the 17 Sustainable Development Goals. By using various examples, I tried to show how all of the goals are linked, but also how we with our research, education and outreach play a key role in the achievement of ambitious goals such as eradication of hunger, increased equality and education for all by the year 2030. In the ongoing review of the international networks that the University of Gothenburg is already involved in, or wants to join, I feel that the cooperation within SANORD is well worth developing. It is a constellation involving two continents with vast untapped opportunities for cooperation, and we are therefore planning to increase our engagement in the network. This applies to both thematic research collaborations and various student exchange schemes. The next SANORD conference will be held in Jyväskylä in August 2018 under the title Academic citizenship: recognition, resilience or resistance? Next Next post: The Nobel Prize is great, but where are the women?